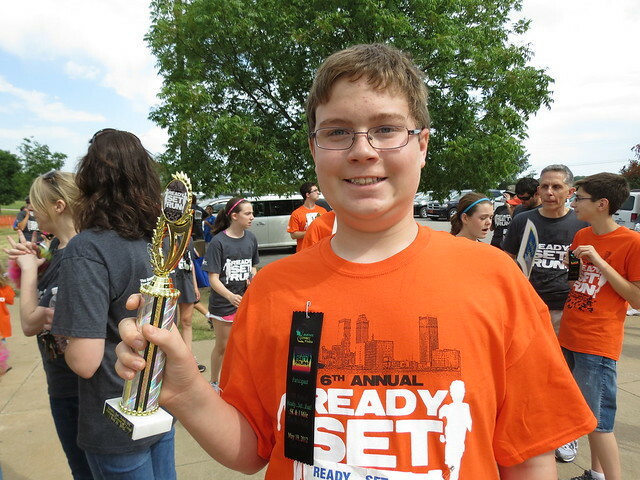 Saturday morning I ventured to the Tulsa suburb of Bixby to run in their “Corn to Run” 5K. 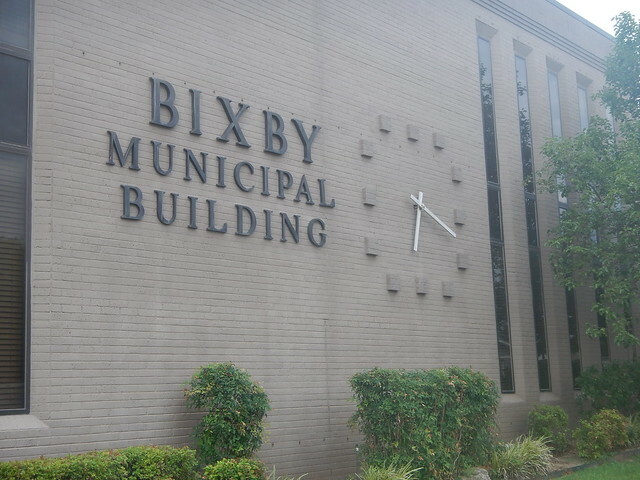 Bixby is home to some of the highest price residential real estate in Oklahoma but it still has a small town feel especially the old downtown area. 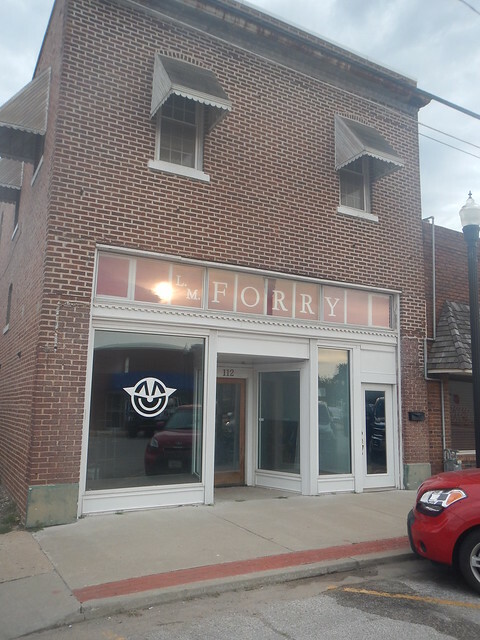 There are still thriving businesses downtown of all kinds. Restaurants, dance studios, and such. 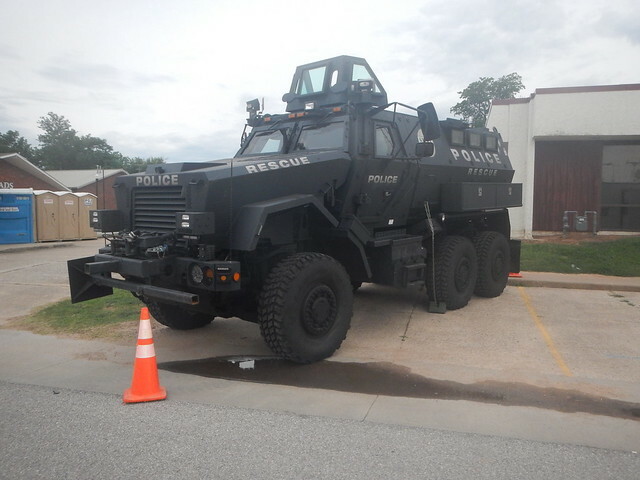 I have no idea why the town thinks they need this thing. 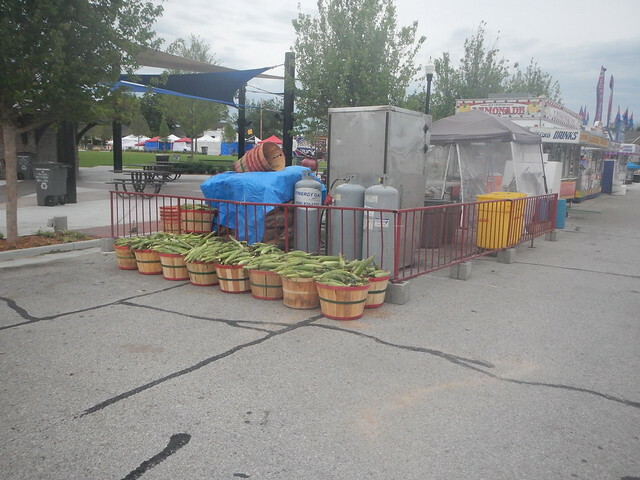 The 5K is part of Bixby’s “Green Corn Festival.” The town is known for its truck farms that produce all sorts of produce including corn. More and more of the farms have sold out to real estate developers and so the acreage devoted to farming continues to decline. 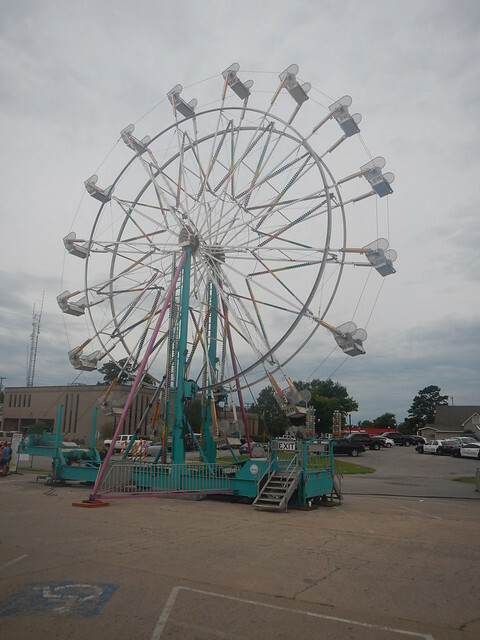 The festival has a carnival with rides, carnival food, and lots of food trucks besides. The typical milling about before a race. And then we were off. I only stopped to take this one photo. I love this house. We wound around to the east side of town and then down south and then back up. There was not much traffic control, it was not really needed, not many people were out and about and those that were had the good sense and courtesy to not bother the runners. The course was well marked, especially for me since almost all the runners were ahead of me for some reason. And the finish line!! The guy on the PA made if fun for everybody and held off the awards ceremony until the everybody made it in. 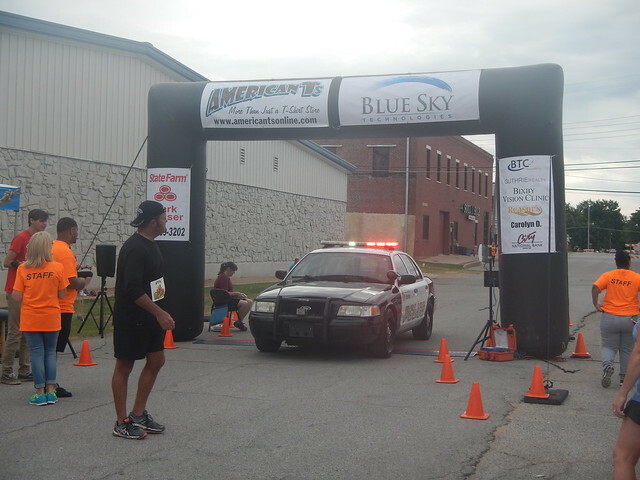 Including the police department, who finished last. 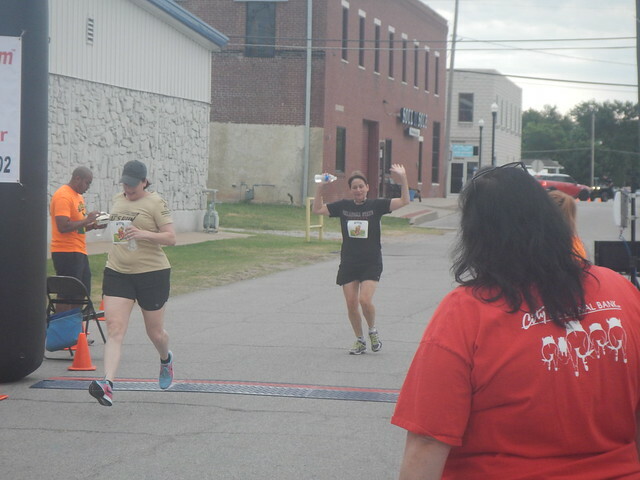 I ended up getting second in the 60 to 70 year old category. There were three of us in case you were wondering. The little dog tag is something that they gave everybody who finished. The race was well organized. Lots of helpful volunteers, the water at the end was cold, they had snacks, ample portapotty’s, the course was well marked and free of problems. The race started on time and they started the awards promptly and moved through them quickly. The race director and the people helping him did a great job. This should have been a totally satisfying race but it wasn’t quite for me and I’m going to tell you why. They only had shirts for people who had registered by June 16. None for anybody else. The only thing said on the registration process was that shirts were not guaranteed for those who registered after that date. Okay fair enough, I should have known, right? Well maybe. 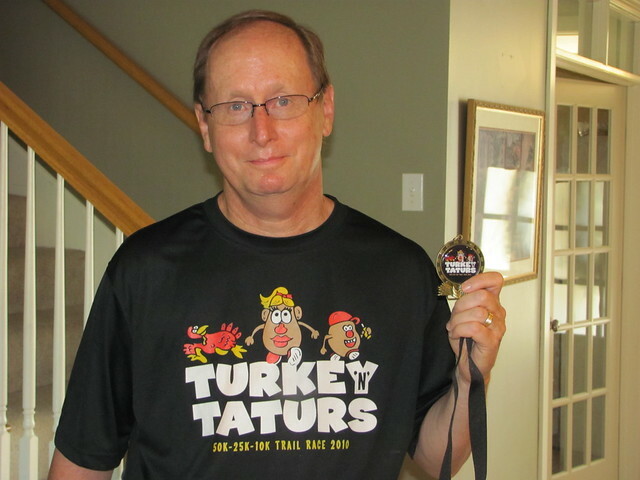 I have run in over 150 races since I started running them twenty three years ago. Most of them I enter just a few days before the event and many the morning of the event. This is the first race where I didn’t get a shirt. Sometimes I had to take a different size shirt. 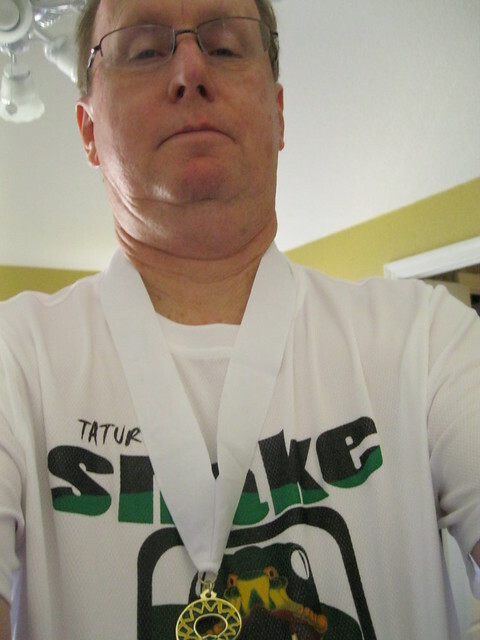 Several times the race director had extra shirts made up and I got them a month after the event. Here they made no attempt to do any of that. They should have said “Guaranteed no shirt” after the 16th. Many races have an option for no shirt at a discounted entry. Logan and a run shirt. I know why they do this and I get it. I have helped with several races and what drives race directors crazy is trying to figure out how many people are going to show up. So if you want to make sure that everybody gets a shirt then you have to kind of guess and hope that you didn’t order too many. The shirts are not free and the value of a shirt an hour after an event is basically zero. 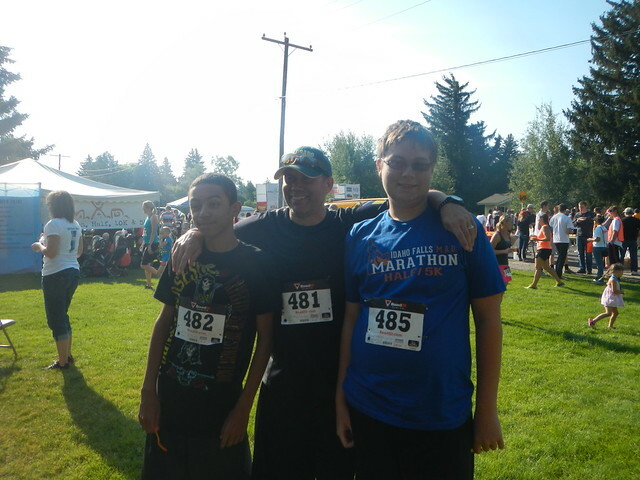 Logan with his cousin Shiloh and Uncle Irvin at a race in Idaho. These races can bring in a lot of money but they cost a lot of money also. For everything from chip timing, to renting the tents and tables that you need, course security, course certification. The directors have to recruit volunteers to help them out and make sure they know what to do. So I get it, I really do. And so your costs are fixed and then you get guys like me who register at the last minute, full of expectations. 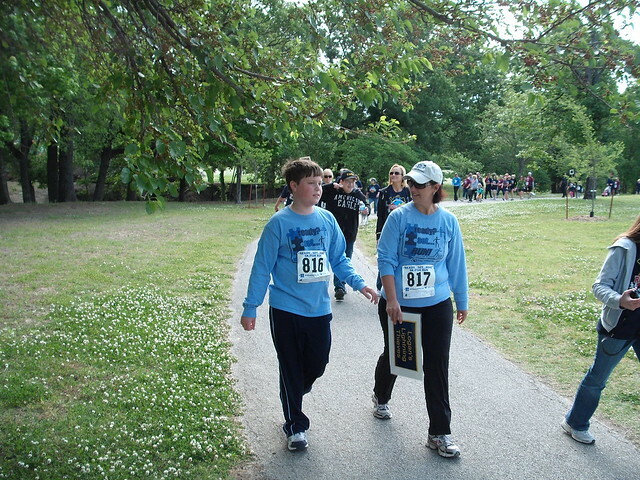 Logan and my wife Heather at an event in Tulsa a few years ago. And so why do I register so late? Why don’t I get on board and register a week and a half in advance? I’ll tell you why! Life, that is why. Just with what is going on I am not sure that I am going to be able to race until a few days before and I don’t want to spend the $30 and not be able to go. Sorry, but our family schedule is like the fog until something breaks free and it is like, okay, I am going to be able to race so then I hit the interwebs looking for something to go to. I don’t think that I am that much different than other people. Especially those with a family. I still have that shirt! And not only that, I love race shirts. I have a bunch of them and they are one of the reasons I run the races. Many races have a cheaper no shirt option and I have never signed up for that. So, yep it may be childish of me, but there it is. I still have that shirt also! Why am I make such a big deal about this? Doing my research I am seeing a many races using the “Shirts Not Guranteed” language for registrations after a certain date. So it is more than just this one race. And so why should Race Directors listen to me? Satisfaction is why. If you have ever been in a sales or marketing role you will realize that making the sale is not the end of the process. If your customer is not happy with the deal he struck then you did not make a good deal. You see that in a lot of businesses (successful businesses that is) where the after sale is treated very seriously by the customer. You have to make the customer feel good about what he or she has agreed to do. And I think that translates directly to races. I will tell you that the only way I am going to run the “Corn to Run” event next year is I am guaranteed a shirt. Ideas on what to do? What do I think race directors do? Charge more after a certain date. Lots of big races do that. The Route 66 Marathon, Tulsa Run, and others charge more the longer you wait to sign up. I generally wait pretty late on those races also and I understand that it is costing me money and I understand that. Have more shirts made after the race. I know that is expensive also, so charge latecomers like me. Discount the race for people who will not be getting shirts. Why should we pay the same as people who are getting a shirt. Go back to ordering more shirts and hope for the best. Yep, I know this costs more. Or just ignore old farts like me. 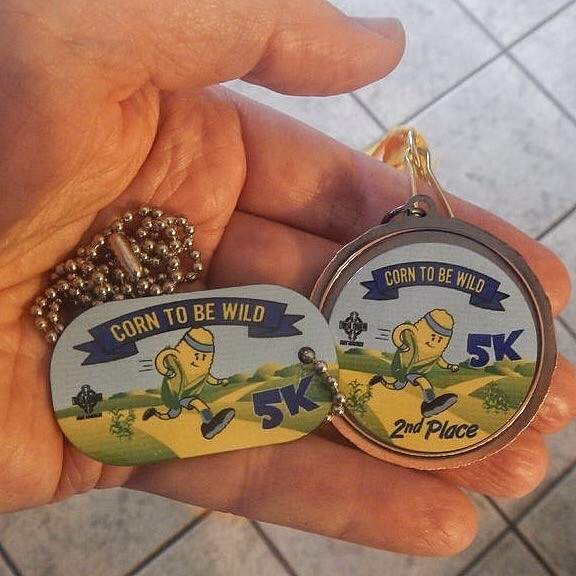 So anyway, I hope I didn’t spoil anybody’s time nor am I denigrating the Race Director or others involved in the well run and fun “Corn to Run 5K.” I am offering my comments and I hope that are seen as constructive. I also recognize that things change and as financial pressures on races continue we may see more changes. I recognize that I may be trying to swim upstream on this issue. 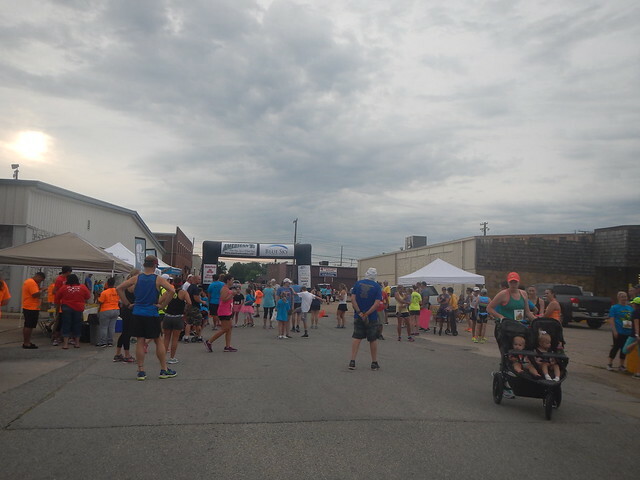 This entry was posted in Running and tagged 5K, Bixby, Corn to Run, Oklahoma, Race Shirts, Racing, Rants, Running on June 25, 2017 by Alan Bates. 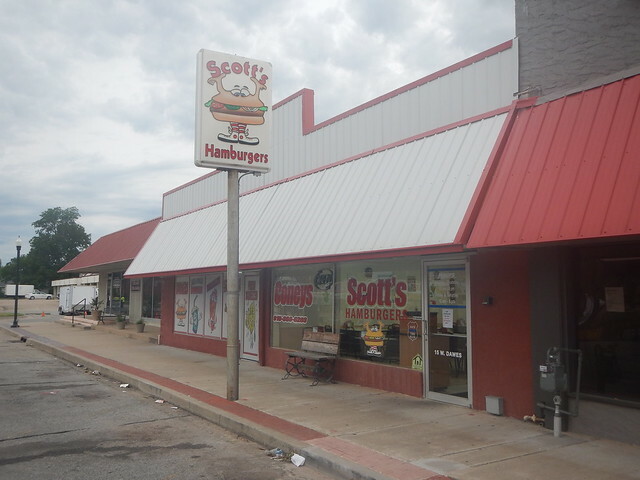 In the country south of Tulsa near the town of Bixby, a fast growing suburb. I keep thinking that this field is going to be wall to wall houses in about ten years, or sooner. I hope not. 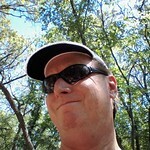 I’m linking with Our World Tuesday. 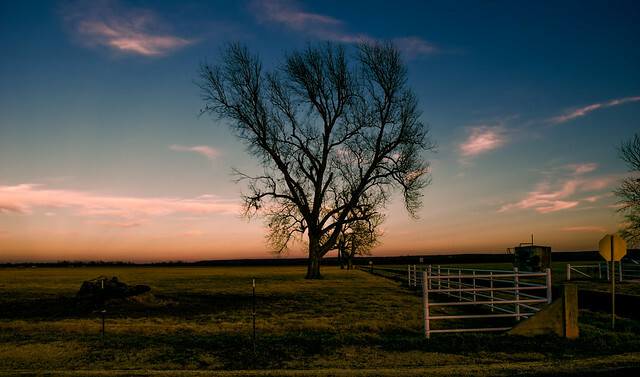 This entry was posted in Our World Tuesday and tagged Bixby, Landscape, Oklahoma, Our World Tuesday on January 8, 2017 by Alan Bates. It is Autumn and with the lower sun and the less foliage on the trees it seems that there is more shadows to look at than summertime. I took these with my Nikon AW110 point and shoot. It has in-camera filters. 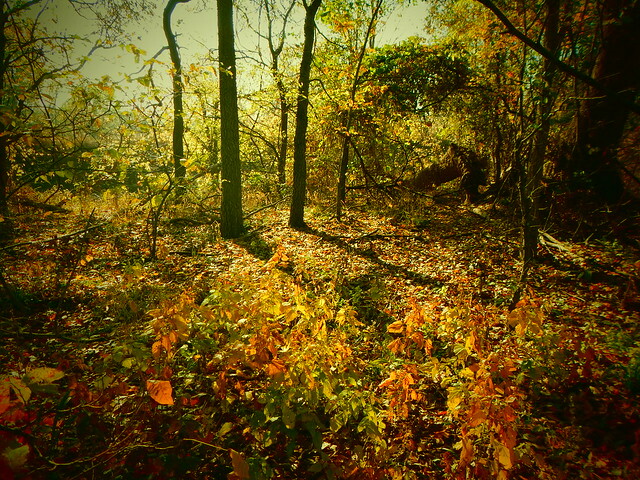 I use the “Toy Camera” setting sometimes. So I can proudly say that these are SOOC, right? With digital photography especially I do not really know what that means? I’m linking with Shadow Shot Sunday. 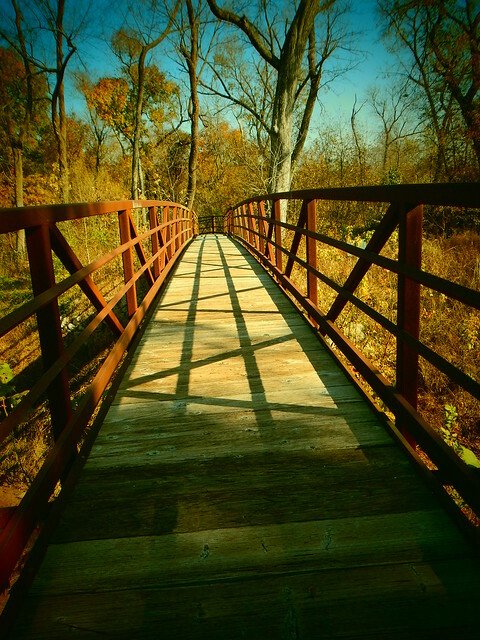 This entry was posted in Shadow Shot Sunday 2 and tagged Bixby, Haikey Creek Park, Nikon AW110, Oklahoma, Shadow Shot Sunday, Shadows on December 3, 2016 by Alan Bates. My new cell phone has a “cut in” feature where it puts a selfie in the pic. I love it and almost nobody else does. I love the goofy look on my face. 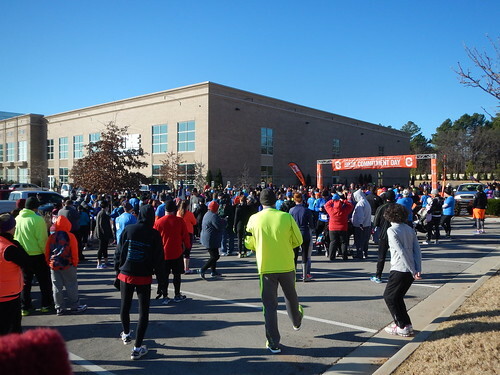 My first race of 2016 was the Commitment Day 5K in the Tulsa suburb of Bixby at Lifetime Fitness. It was a fun race for several reasons. First it started at 10 am instead of the crack of dawn which made it more doable for us old farts party animals who like to sleep in stay up late with our wild and crazy friends. 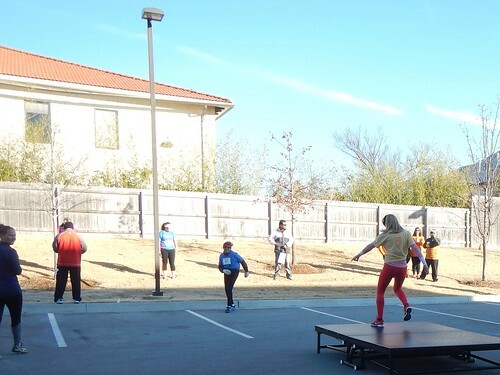 Second we had a Zumba warmup. That was unexpected! My beautiful wife became a Zumba instructor and I have been wanting to crash one of her classes and video a couple of her routines. Something about the way she looks at me when I talk about it makes me think that she is not near as excited about it as I am. Well we had Leslie who led us in the warmup. She really did have more than a half dozen people she was leading. See!! I’d of participated but I was doing my blogging journalistic duty of documenting the event. Really. Actually I did try a few moves. I think i have lots of potential. In the engineering sense in that a rock at the base of a mountain has a lot of potential energy to gain by somehow getting to the top, not that it has any chance of getting there. Enough of the dancing, this is racing. We moved over to the start line. I did my usual start at the very back. Sure I have to weave through walkers and baby strollers but I like passing people from start to finish and it is not like there is anything on the line anyway. This is the finish. I love seeing young people kicking hard at the end. And see the group of three ladies behind him? Lots of people just jog along a chat with their friends. Usually that breeze pass me like I’m standing still. We had the gym to relax in after the race. Lots better than huddling behind cars and trailers like most winter races. The facilities were first rate. The race was an out and back type arrangement with hills and dips near the turnaround. 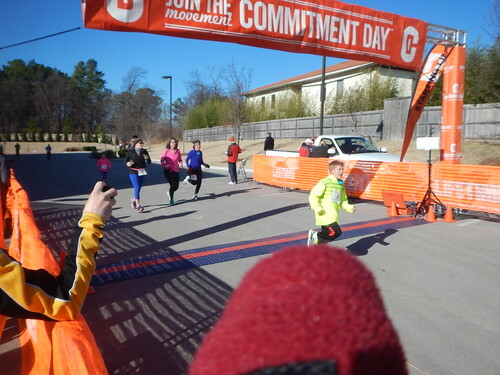 I finished fourth in my age group. I don’t know how many were in my age group but I suspect the answer is approximately four. It was a fun, family, oriented race and I’ll probably be back next year. This entry was posted in Running and tagged 5K, Bixby, Oklahoma, Racing, Road Racing, Running, Zumba on January 2, 2016 by Alan Bates. The family likes to check out Christmas lights and we haven’t been able to do so for various reasons so Sunday night we made our inaugural tour. Starting of course with our house. Next up was the Rhema Bible Training College in nearby Broken Arrow. (No, they don’t train Bibles silly). 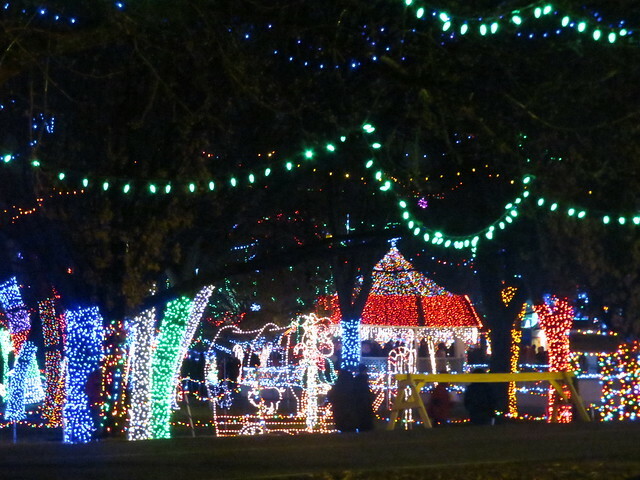 Rhema has approximately one gazillion lights and is the most spectacular display that I know about in Tulsa. It is best appreciated if you get out of your car and walk around. That was out for us because it was cold and misty and the kid is acting kind of like he is coming down with something. And you know how it is. Whatever you do don’t get the kid sick. That will last until he is about 72 or 73. I forget which. 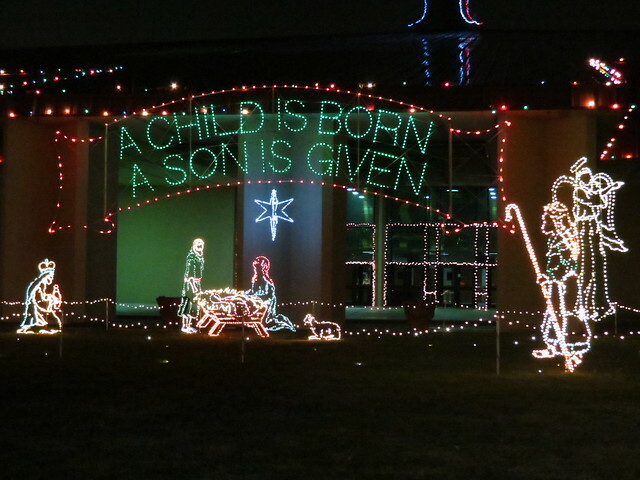 Anyway, if you only want to go to one place in the Tulsa area for Christmas lights, go to Rhema. Just don’t let your kids get sick. And they have a sense of humor. I love this sign. 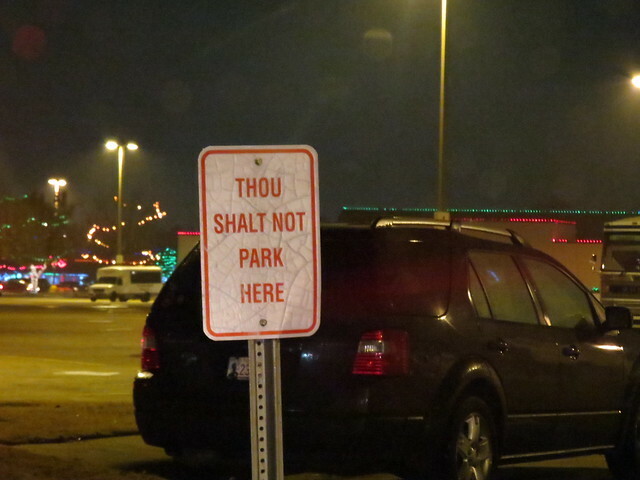 I think it is the eleventh commandment. At least in Broken Arrow. You know how those people in Broken Arrow are. And we always have to check out the lights in front of their auditorium. The other thing we always have to do is tell Logan stuff like, “Remember when you were a baby and all we wanted to do was go check out the Christmas lights, and OH NOOOOO, that wasn’t going to happen. You spent the whole time bawling and crying.” Of course we now have a new tradition, talking about it. If we don’t bring it up, he asks about it. 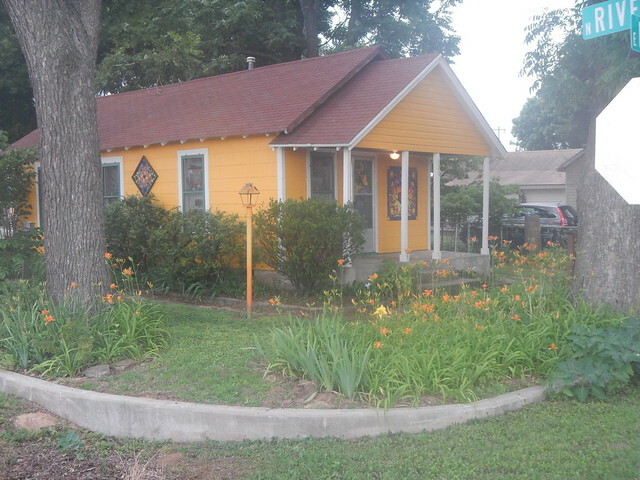 And then we left Rhema and checked out another house in Broken Arrow. They have a toy drive associated with the display. Very cool. If I were a decent blogger I would have the address to this house. LIke I said, if I were a decent blogger. 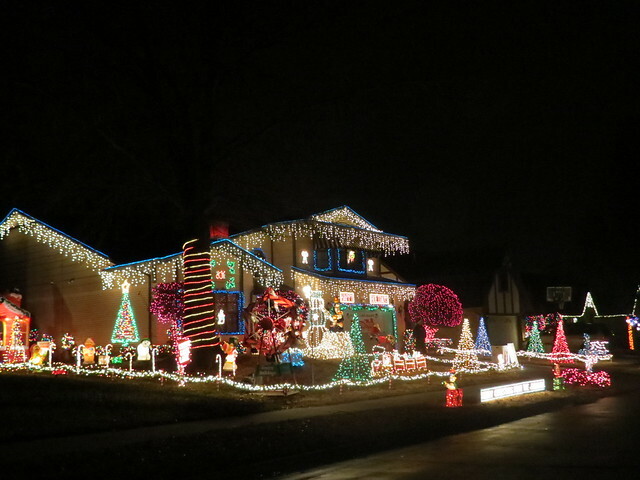 And then to Bixby, another ‘burb of Tulsa to find an animated display. While driving around we spotted this house. I love its simple but nice lighting scheme. Ah, here we are. Animated strangeness. I loved it though although not much about it is Christmassy. Traffic got jammed up. We sat through three numbers and had to twist and turn in the neighborhood to get out. I love it when people stop in middle of a street to gawk at stuff. I mean, I don’t mind if I do it, I just don’t want others to do it. 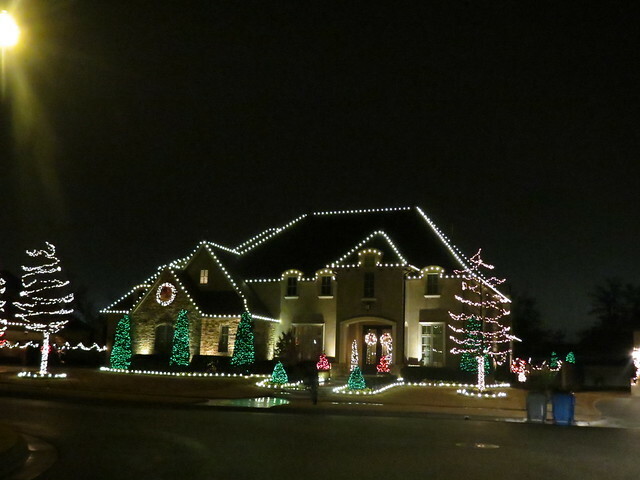 So, have you gone out and looked at Christmas Lights yet? 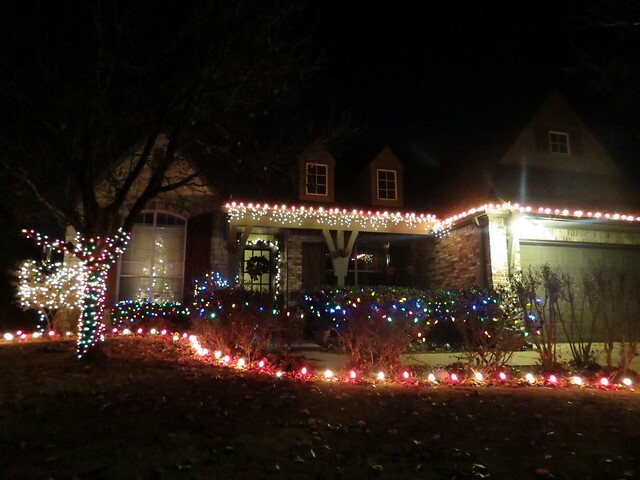 This entry was posted in Christmas and tagged Bixby, Broken Arrow, Christmas, Christmas lights, Tulsa on December 22, 2014 by Alan Bates.